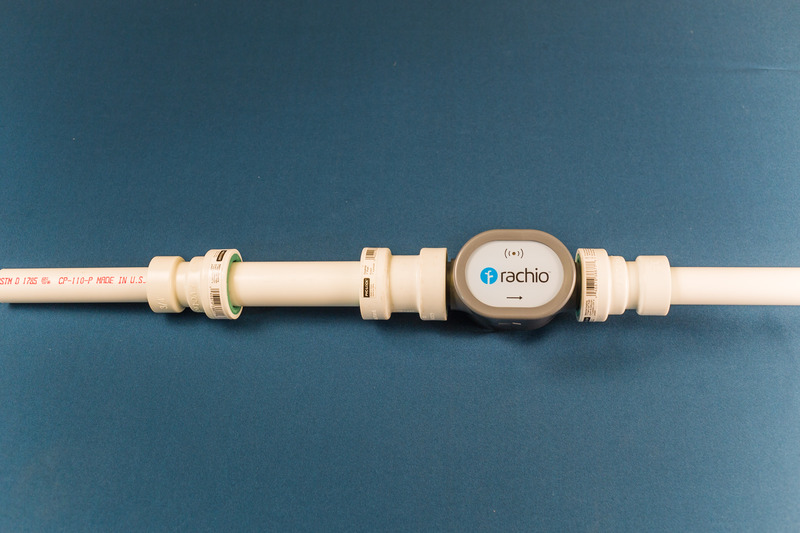 The following Rachio Wireless Flow Meter installation instructions are intended only for irrigation systems with 3/4 inch PVC pipe. 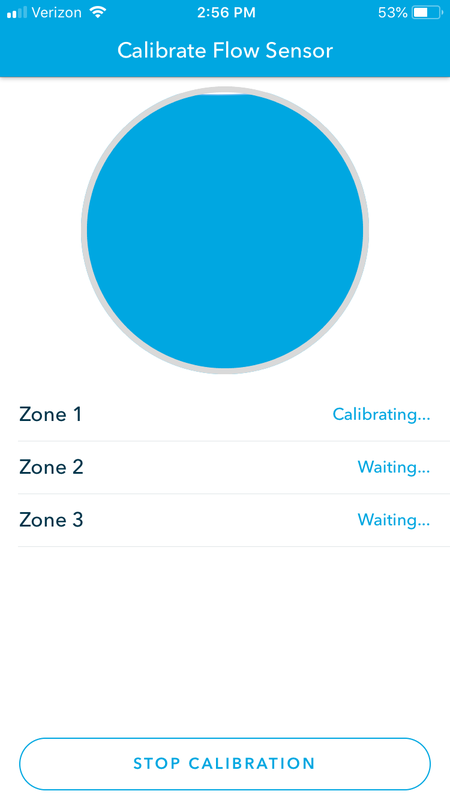 If your system uses a different pipe size and/or material, please visit rachio.com/flow for instructions tailored for your system. Orbit brand, Model # 38677. Available at Home Depot, Lowe’s, and Amazon. Orbit brand, Model # 38676. Available at Home Depot, Lowe’s, and Amazon. A 6-inch cut piece of 1-inch PVC pipe (you may need to purchase a longer piece and cut it yourself). Available at any Home Depot, Lowe's, or Amazon. Note: For accurate flow measurement, there must be 6 inches of 1-inch pipe before the Flow Meter. Do not attempt to bypass adding the 1-inch transition pipe, as this piece is essential for proper installation. We recommend the Folding Jab Saw (or Jab saw): Model # 48-22-0305. Available at Home Depot and Amazon. Don't miss a step! For a successful installation, review and follow all instructions carefully. Push one ¾-inch to 1-inch PVC lock fitting onto one side of the PVC transition (the 6-inch cut piece). Push the 1-inch to 1-inch PVC lock fitting onto the other side of the PVC pipe transition. Important: Push one ¾-inch to 1-inch PVC lock fitting onto the end of the flow meter so that the arrows on the flow meter point to the fitting. Push the 1-inch PVC lock fitting on the transition pipe onto the flow meter. Mark 12 ¾ inches after the first mark; this will be the bottom cut.